75 Years Ago—July 8, 1943: German Gestapo executes French resistance leader Jean Moulin. 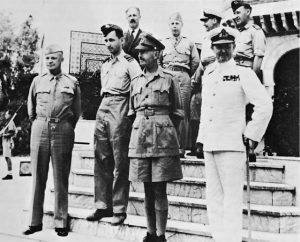 Gen. Dwight Eisenhower arrives at Malta, Battle Headquarters for Operation Husky, the upcoming Allied invasion of Sicily. US Seventh Air Force B-24 Liberators from Midway bomb Wake Island in first land-based strike on this island.